I just wanted to write a quick note to our social followers to put the record straight on a situation that has developed over the weekend regarding Yella Belly Gold. From the looks of comments on Facebook, Twitter and Instagram there are some misunderstandings out there regarding the branding situation of that beer. I thought it may be useful to share the facts. The most recent telephone conversation we had with Omnipollo regarding Yellow Belly was a couple of months ago. I was contacted by a very nice lady from Omnipollo with an enquiry about our registration of the Yellow Belly name. I explained to her that we did have a protected registration, however we were always open to discussions as to how the situation could be sorted out amicably. We have had similar situations to this in the past and we have resolved them to the satisfaction of both parties. I handed the enquiry onto the people who deal with our brand names and we expected a response but were not contacted further. So, Omnipollo were contacted once more asking if they would like to discuss how the situation could be resolved. They responded saying they would but nothing more was heard until our social media channels lit up on Thursday. Since then we’ve been getting quite a bit of abuse for something we don’t really feel is our fault. It has been stated that they tried several times to negotiate a resolution, but myself, nor the people dealing with the branding issue have heard anything. 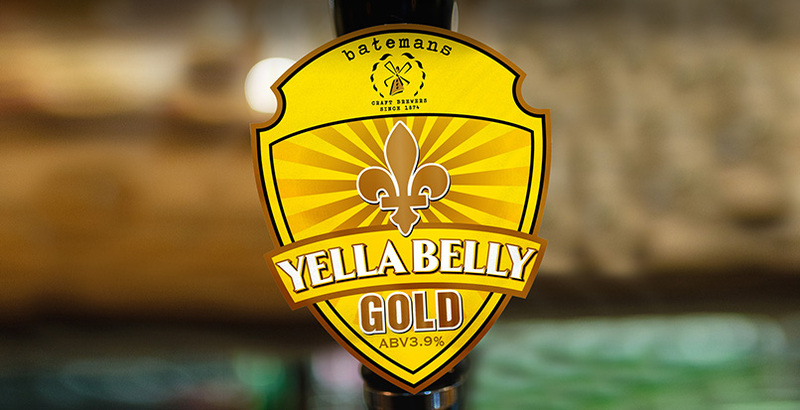 Batemans has been brewing Yella Belly Gold some 20 years, initially as a pale ale flavoured with Madagascan vanilla pods. The name was chosen to reflect our Lincolnshire roots as a family business that has been brewing in Wainfleet since 1874. After the vanilla ale we developed the brew to create an organic bottled beer, that was available in supermarkets across the UK. More recently we have developed it further into today’s 3.9% blonde beer. Long story short … Yella Belly Gold has been a long standing, popular and successful brand for Batemans. During the 144 years since our brewery was founded, four generations of the Batemans family have worked hard to maintain our independence. We have done this because we consider ourselves to be the antithesis of the large corporate brewers. Ironically, we very much feel we are on the same side of small independent craft brewers like Omnipollo and Buxton. We’ve got a track record of sharing beer names that we have registered, we’ve happily swapped brewing knowledge and advice with other brewing start-ups, we’ve even shared Batemans yeast with other brewers. It’s a shame no one got back to us, so this could be sorted out.